My last day in South America. It was raining in Buenos Aires. I wondered if my laundry would be dry bey this evening?? I was planning to visit Zoo Lujan with Nana this morning, but it was raining, so we stayed at teh hostel and saw if the weather got any better. Luckily it stopped raining, so we left there after 10am. Wecaught No 152 bus *AR$1.20) to Plaza Italia where we changed to No 57 bus (AR$10). We got off the bus at Lujan. 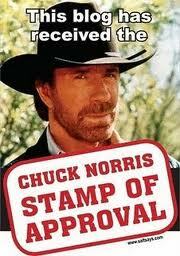 We talked about Chuck Norris on the way! 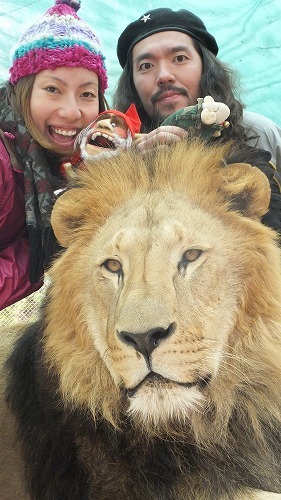 We could touch and play with real lions and tigers!! Mr.Sheep was very excited too!!! Its a real tiger!! 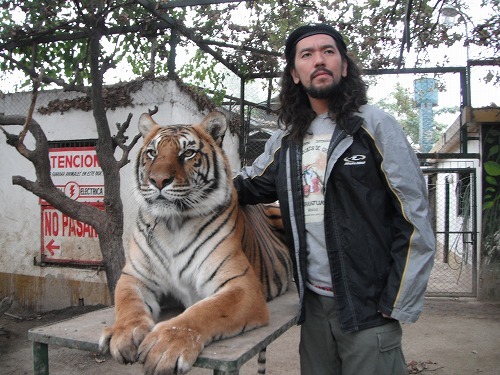 I wasborn in a year of tiger. So it was very special for me to take a photo with a real one!! 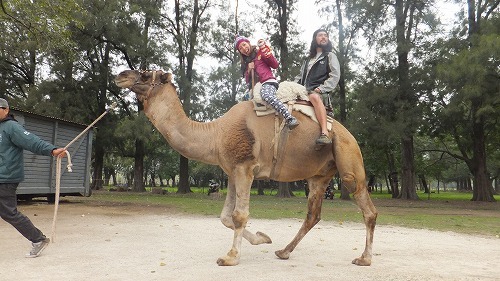 Riding a camel with Nana. 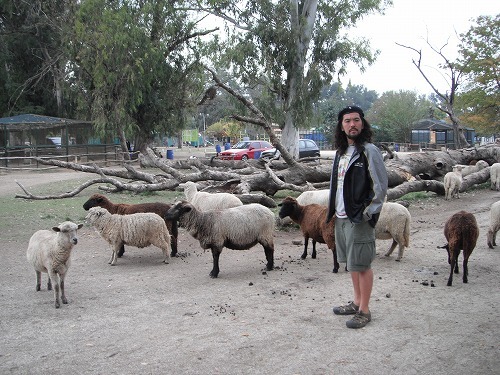 The herd of sheep and myself. 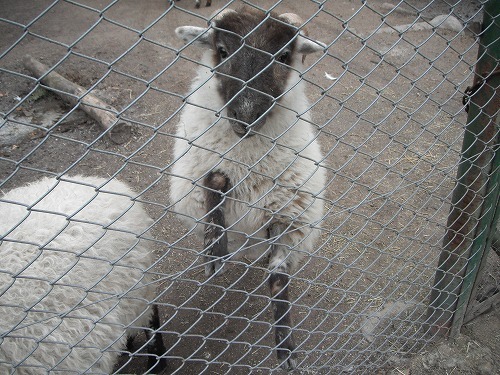 This sheep was so cute! But not as cute as Mr.Sheep, of course!! We enjoyed the zoo a lot. But it was a really cold day.So we went back to the hostel. At the hostel, Ikezou and Yumi prepared Toco rice for dinner. I could have a good last dinner in South America with good friends!! I left the hostel around 8:30pm and walked to a terminal of the airport shuttle bus. It took less than 1 hour to get to the airport. After checked in, I am writing this diary at the depature gate awaiting for boarding. Thanks Americas. I will be back one day!! Hasta luego! !